Hello, English speakers. Here is an interview conducted by NoFrag. We are a french site dedicated to FPS. NoFrag: Hello for the second time! The last time we talked (February 2018) you were about ten people on the team. Has the team evolved since then? Triternion: We’re still the same team, it’s a good, manageable size for us, and we complement eachother well. 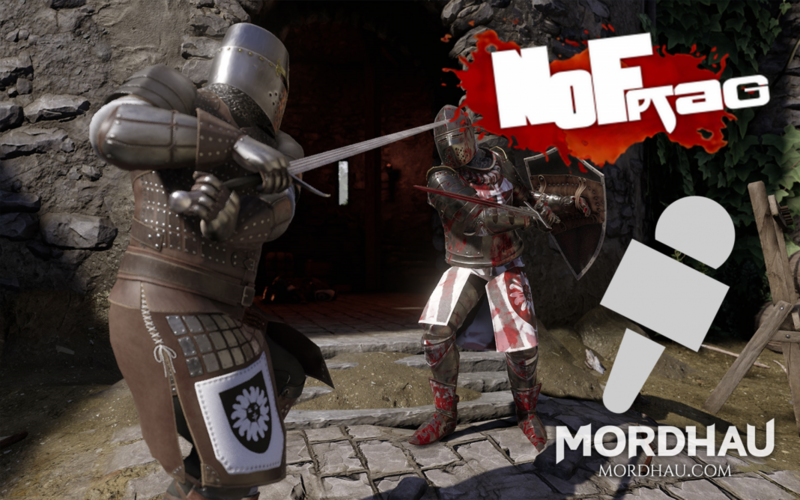 NoFrag: We are a few weeks away from the release, the development of the game started in 2015. How do you feel and how is the atmosphere? Is there a party planned with a VIP area for the press? Triternion: Things are quite hectic as we near release, trying to fix everything that’s left, adding the last remaining things that we can squeeze in, etc. It’s very hard for us to say “this is it”, as we always want to fit something else in last minute. But we’re almost there! We don’t have any plans for a party on release, we’ll probably be all hands on deck trying to put out any fires, and deal with the PR/marketing side of things – that’s going to be a long week. NoFrag: A test weekend has just ended, there were some server problems at the beginning. Overall, was this first full-scale test satisfactory for you? Are there still any unknown variables left? Triternion: Yep, server problems were what we were testing for. Performance wasn’t up to par for the servers due to an oversight on our part, which we couldn’t detect without actual players filling it up. But we’ve quickly fixed the issues, and are expecting the next test to be much smoother. There’s no unknown variables at this point, and, thankfully, we’ve got everything under control. NoFrag: From what I read, Frontline (objective game mode) was greatly appreciated. Are you going to make any changes before the final release? How many maps will be playable in this mode? Triternion: We had a lot of positive feedback, and we’re happy folks have enjoyed it! Primarily we’re addressing issues with the mode that we’ve received complaints about, and also addressing performance issues. We’ll be adding a couple more objectives to the maps and some tasks to do at the capture points that have to do with repairing and fortifying them. In total, there will be 4 maps playable in this mode on release (Camp, Grad, Taiga and Mountain Peak), and 2 more maps will be coming post-release once we finish work on them, as we didn’t want to delay release for these two maps in progress. NoFrag: Overall, can we expect any surprises with regard to the content of the beta? Triternion: Polish, fixes, optimizations, and trying to squeeze more stuff in for the modes! NoFrag: Concerning the combat system, are you satisfied with its current state or will you continue to modify/balance a few things here and there? Triternion: We’re happy with how far we’ve come, but we will absolutely continue to work on it as we go. NoFrag: The Battle Royale mode has made a lot of comments in its current state. Personally, I didn’t really appreciate the experience. What have you learned from the feedback and will you make any changes? Triternion: We’re doing plenty of changes to it – rebalancing the loot, fixing the bugs that plagued the experience, etc. Ultimately, however, Battle Royale will probably not be a mode for everyone, but that’s okay. NoFrag: What are your plans for the content after the release? Do you already have a roadmap in mind? Triternion: Some of the things we will focus on are getting the 2 large maps that are in progress done, work towards a 1v1 ranked mode, and mod tools. Alongside the bugfixing, that should keep us occupied for a bit! NoFrag: I imagine that any future major updates of the game will depend a lot on sales. 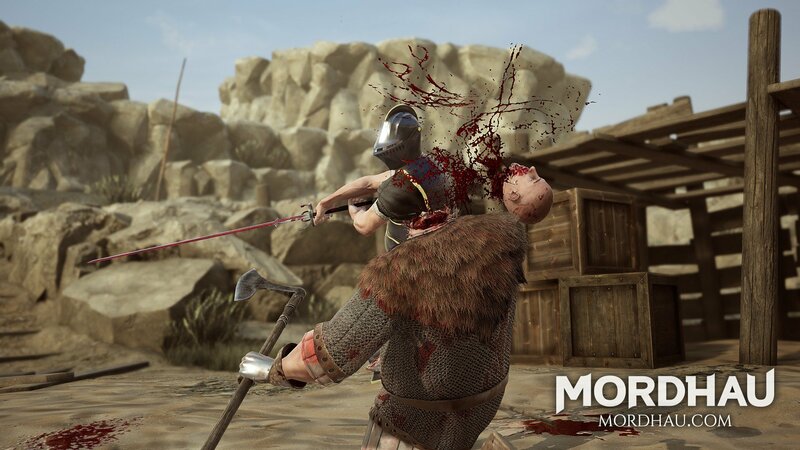 How many Mordhau copies do you need to sell to ensure regular follow-up? Triternion: We don’t have any concrete numbers. The better it does, the more we can do to support it. NoFrag: If we look a little further in time, do you already have any ideas for DLCs? Triternion: Oh, we always throw around some ideas, but don’t have concrete plans right now. We really like the idea of doing bigger expansions rather than some cosmetic items. Introducing new cultures that fit well with the game, alongside new maps, etc. It’s tricky with a multiplayer game, as we can’t split the playerbase, but I’m sure we’ll figure something out. NoFrag: Do you have any other maps in preparation? If so, how many and in which environment/ambiance? Any other game modes in mind? Triternion: Two right now, Feitoria which is an urban town with villages surrounding it. It’s our biggest map yet and has been worked on for a very long time, but it’s not quite ready for release yet, and it will probably come shortly after. The second one is an expansion/re-imagining of the current Contraband map into a town by the coast. 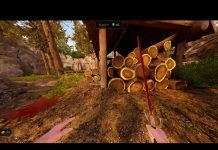 NoFrag: Are other siege weapons in preparation? I would very much like to destroy a castle with a trebuchet before sounding the charge. Triternion: Not at the moment. We have trebuchets that fire on their own on the map Camp, but nothing you can control right now. Perhaps in the future! NoFrag: Matchmaking and duels will not be present at the release, what were the problems that caused this delay? When can we expect its release? Triternion: Matchmaking in the sense of automatically queuing for a match with skill being taken into account will be there on release. However it’s not super strict. We’re trying to separate beginners, medium level players, and high skill players to at least some extent. For duels, we will have a very strict matchmaking system as you might expect from a ranked mode, but this requires some additional work on our back-end servers, and isn’t something we will have ready by release. We don’t have a specific timeline for this right now, but it’s something we’ll start on post-release. NoFrag: Seriously… who are the people behind the voices? In particular, laughter. Triternion: Those would be the really talented voice actors we work with! They go all out, and we don’t really hold them back or guide them too much. It really makes the whole performance more organic. NoFrag: Regarding optimization, there were ups and downs depending on the hardware (on Frontline mostly). Are you still working on it? Triternion: We had two areas that needed optimizing, one was the client, and the other was the server. We’re now happy with the server side of things, as it can maintain a relatively stable frame rate of 60 ticks for 64 players, which wasn’t the case during the first stress test. The second one is client FPS. This one is trickier, as we’ve been optimizing it for a while, but clearly there’s more to be done. This is our top priority right now before launch. NoFrag: Will we have the right to other musical instruments? Triternion: We’d definitely love to do some more in the future, but for now it’s just the lute. NoFrag: We know you plan to support the modding. Do you know when we can expect it? Triternion: No specific timeline right now, it will come post-release. NoFrag: As an independent developer, what is your opinion about the Epic Games Store and Steam? Triternion: The Epic Games Store is a very welcome change in this industry, as it forces competition between the stores and lowering of the cuts that they take (which are substantial). This means making games becomes more profitable in the long run, and more of players’ money goes to developers. Players often compare the stores for features, and they’re not alone. Developers do this, too. For us right now, Epic’s store is not an option since we rely on Steam’s backend features for things like Steam inventory, matchmaking, achievements… Support for this in the Epic Games Store is still lacking since it’s new, but is planned and is coming. 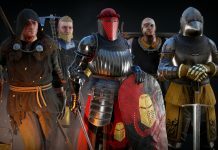 This is why Mordhau will be launching as a Steam exclusive, how funny is that? NoFrag: It’s time to tell us the release date and price! Triternion: We’re still working on the exact date, but we’ll be launching at $29.99 with a 10% launch discount. NoFrag: I sincerely wish you good luck for the release, at NoFrag we love the game and we hope to see it succeed. I’ll give you the last word. Triternion: Thanks. 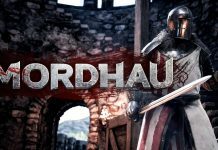 The release of Mordhau will mark the end of a very long period of development for us, and mark the start of a new one as we embark on post-release support and additions. We’re really excited for the new influx of players and just getting the game out there for everyone to (we hope) enjoy.